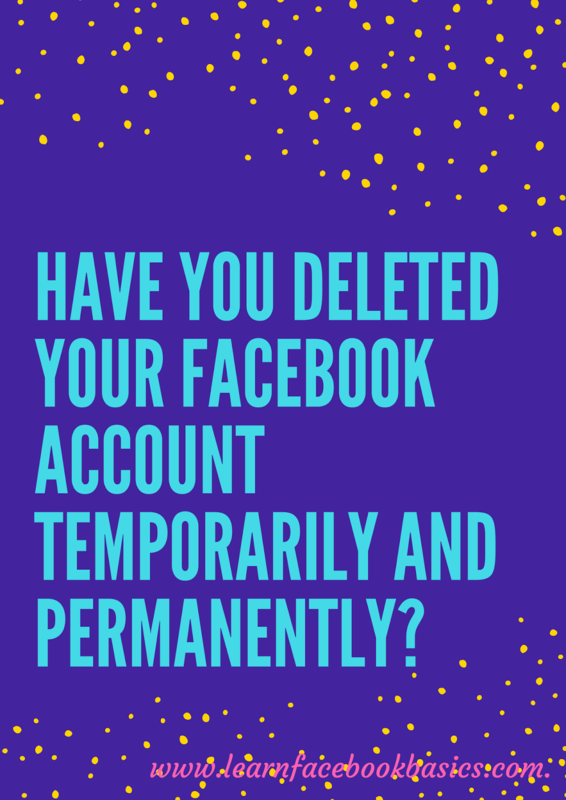 Have you deleted your Facebook account temporarily and permanently? 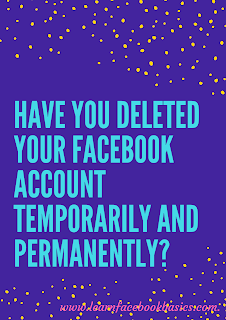 Probably you have decided to delete your Facebook account temporarily or permanently. Your reasons may be among those that are rampant and prevalent these days: your Facebook account has been hacked or you may have forgotten your password. It is very important to note that whichever decision you choose to take or whichever path you decide to go is different from the other. Deleting your Facebook account temporarily means DEACTIVATION. While deleting your Facebook permanently means total DELETION. As they are different, so do they have different characteristics. And so, we'll take a look at their differences. Also, don't forget to hit on the share buttons!